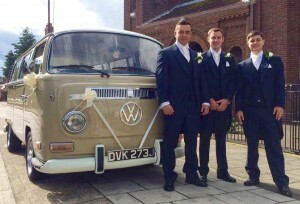 Chauffeur driven VW Campervan Wedding Hire in the North East of England. 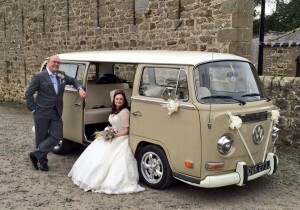 Northumberland, Tyne and Wear, Durham. 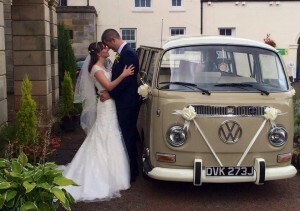 Hire our iconic, retro VW Campervan and let him help make your wedding, a fun, unique, special day.